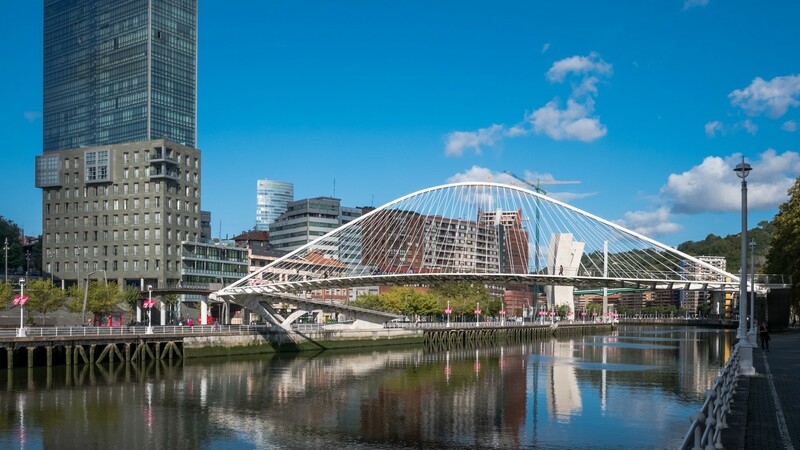 The Spanish port city of Bilbao in northern Spain is situated just inland from the Bay of Biscay and is surrounded by inviting hills and beaches. Famed for the Frank Gehry–designed Guggenheim Museum Bilbao, the impressive titanium-clad building housing prominent modern and contemporary art works. Other highlights include the Azkuna Zentroa cultural centre, leafy Parque de Doña Casilda de Iturrizar and for foodies, Mercado de la Ribera.